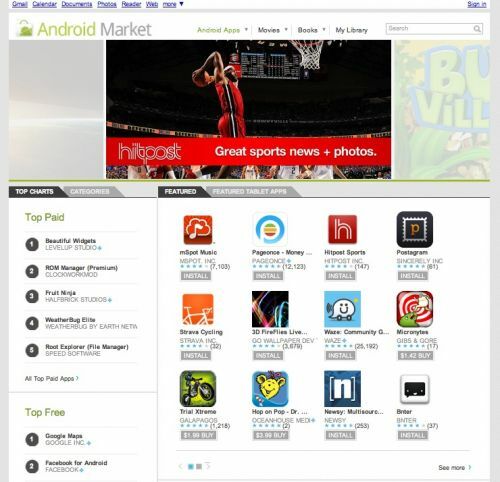 This week, Newsy is a featured app on the front page of the Android Market! Rated 4.5 stars and with glowing reviews, Newsy is the only video news app for Android users that highlights the differences in news coverage. With a market share of 36%, Android is the world’s leading smartphone platform -outpacing Apple’s iOS at 16.8%. In the last two years, Android-powered smartphones have grown rapidly. As of May 2011, 400,000 new Android devices were being activated every day -compared to 100,000 per day in May 2010. Newsy is well positioned to be the video news provider for the more than 100 million devices that have been activated so far.